Advisers to President Trump say Joe Biden is the Democrat he most fears running against, and that Pennsylvania is the state he worries most about flipping against him. Trump’s calculation is based partly on how weak he sees other Democratic possibilities, including Bernie Sanders or Elizabeth Warren, and partly on who’s capable of appealing to his base of working class whites. Biden, sources tell me, doesn't think Trump is morally or politically fit for the Oval Office. The former vice president, who at 75 is three years older than Trump, pines to run and will test the waters this fall. But family considerations could prevent him from ultimately pulling the trigger. Biden sees the same opening Trump does with working class voters, especially in Democratic states like Pennsylvania that Trump won. 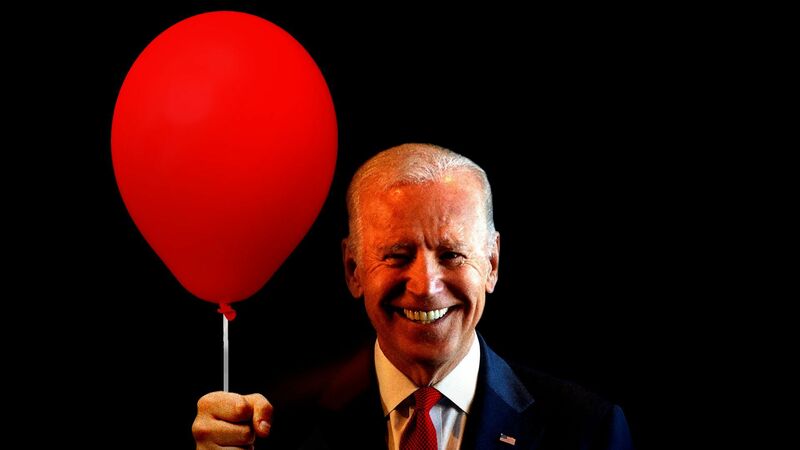 Trump advisers say Biden, like the president, conveys authenticity, is comfortable in his own skin, can work a crowd, and relishes throwing and returning punches. Biden could — and would — needle Trump, and get under his skin, with a brio that few other big-name Democrats could muster. He has kept his connection to his birthplace — Scranton, Pa., emblematic of the working-class, Rust Belt territory that joined Trump Country in 2016. A Democratic source close to Biden said he'd be strong with "Obama-Trump voters" in states like Pennsylvania, Michigan and Wisconsin where "the blue wall became the red threat" — Obama won them twice, then they flipped narrowly to Trump. These are white, working-class voters who aren't college graduates (or have some college) and are anti-Washington. They voted for the anti-establishment candidate (Obama) in 2008 and again in 2016. Biden allies say he'd be a strong candidate partly because he has nothing to lose — his last run would give him a sense of liberation. This fall, Biden will build up chits with Democrats by traveling every week to appear with candidates for House, Senate, governor and state legislature, and will make a slew of endorsements. In between, he'll work on the Biden Cancer Initiative, the Biden Institute and the Biden Foundation. Republican sources tell me Pennsylvania, where Trump campaigned frequently and fervently in 2016, will be the toughest to hold of all the battleground states that put him in office. "There's a reason Pennsylvania had eluded Republican presidential candidates as long as it did," said GOP operative Josh Holmes, president of the Cavalry LLC issue management firm. "You need a combination of a really effective campaign, a perfect message and a good environment." To make up for how badly Republican candidates do in urban Pittsburgh and Philadelphia, they need almost unattainable margins in the Philly suburbs or in the state's rural areas — the Trump route. Be smart: Trump told "CBS Evening News" anchor Jeff Glor just after the Singapore summit: "I dream about Biden. That's a dream. ... I'd love to have it be Biden." What Trump meant was "wouldn't."